Credential evaluations that provide a detailed comparison of credit hours completed by the beneficiary for the 3 year bachelor’s degree program with credit hours required by comparable U.S. bachelor’s degree programs. If a master’s degree is required and the beneficiary does not have a U.S. master’s degree in the specified field of study the petitioner should be prepared to submit sufficient documentation to establish that the education that the beneficiary possesses is the equivalent to a U.S. master’s degree in the required field. 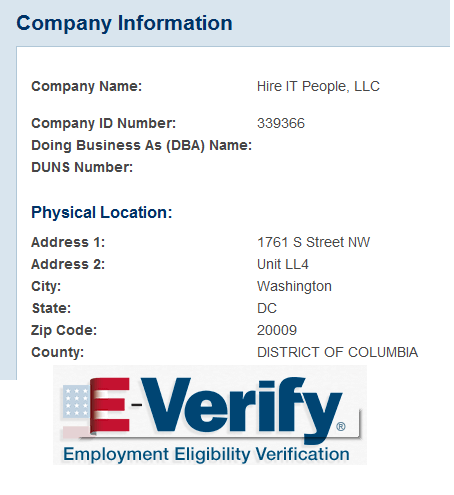 Hire IT People, Inc. provides a rewarding career and provides excellent benefits to H1B Non-Immigrant Workers. Read Employee benefits! 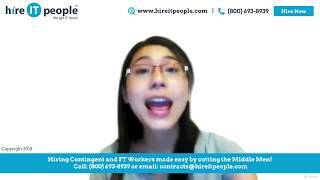 At Hire IT People, Inc. we strongly believe in long-term relationships with our IT contractors. We communicate with you during your engagement, provide on job Support if needed and work with you in finding new Projects. If you decide to leave us for any reason, we will just stay in touch with you for future Project/Employment opportunities.